How high are realtors' and lawyers' fees in Montserrat? What about other property purchase costs? How difficult is the property purchase process in Montserrat? Foreigners can freely buy property without restrictions. Montserrat uses the East Caribbean Dollar at a fixed exchange rate of US$1=ECD2.7. However, US dollars are generally used in real estate transactions. Purchasing a Montserrat property is a straightforward business. The first step in the process is to secure the services of a lawyer, who will draft the sales contract. An Alien Landholding License must be secured from government authorities. A sales contract is always conditional upon the application and approval of this License. Approval can take between four to eight weeks. Upon signature of contract, 10% of the agreed price as down payment must be paid. The balance of the purchase price is payable usually within 30 days upon approval of the License. The seller then signs a memorandum of transfer in your favor. Your lawyer, in turn, will have the title transferred to your name. Montserrat uses the the East Caribbean Dollar (ECD) which is pegged to the US Dollar (USD) USD1:ECD 2.70. The US Dollar is used in all real estate transactions. The government imposes stamp and transfer fees at 2.6% of the property value. The Alien Land Holding License fee has been reduced to 5% from 10%. 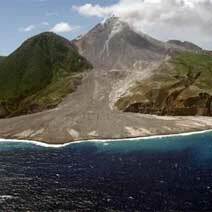 Lawyers in Montserrat typically charge 2% of property value for legal fees. If the buyer has to acquire an Alien Land Holding License, the fee is usually 2.5%. How high are estate duties in Montserrat?